one of my big concerns with sensors is to have something good looking without my wife asking me what this ugly plastic box is. After failed searches for good looking and small enclosures, I decided to search for electronic items and only keep their boxes. I have tried with a tiny 333cm 2$ mp3 player and managed to fit a jmodule and sensors + cr2032 inside. But the plastic is still looking too cheap. Then I discovered those great looking wireless chargers and bought 2 different models, they are pretty bad at charging but they look really good. Only problem: they are flat. No way to put a jmodule inside so I went for an EasyPCB and removed the plastic stripes on the headers to make the pcb as flat as possible. I choosed the smaller (but thicker) black one as in the other the PCB + NRF24 was already too thick (because of the crystal). To fit the pcb I had to remove the right part, and then cut the corners. Still, the antenna of the NRF 24 was too much so I had to cut it too I put a 10cm wire instead, soldered at the beginning of the cut pcb antenna and ... it works really well ! Unfortunately I couldn't fit a CR2032 after putting the PCB, so I decided to experiment with alkaline button cells, the more convenient solution was to take tiny ones (LR41/AG3) and put them between power connectors of the PCB. I also added a bicolor led (green / red) aligned with the led window of the charger, it blinks at each sending loop, wether data is sent or not so I know it's still running. When battery level is high it blinks green, when it gets low it will blink red color so I know it's time to check if I have spare batteries. Also, voltage drop is smaller on red led so it's brighter, green led is dim even at full battery and would be invisible with low battery. I use a SHT21 sensor and at the moment I send every minute (if values changed) the temperature, humidity, battery level (%) and battery voltage (to have history). With the led blinking that's a lot to bear for LR41 batteries (rated between 25-30 mAh) but it's done on purpose, to see how fast they get empty. The PCB ended up pretty atrocious as I did many trials and errors with it (and kept long pins 11,12,13,RST to program the board and have to bend them to fit inside the box) but fortunately when I close the box everything is hidden and the sensor really looks good. With the led flashing it really feels like a commercial sensor you could buy in a shop. I put the sensor not too far from the usb plug hole, but there are also a opening all around the bottom of the enclosure, so I have no visible difference in measure temperature/humidity when I open or close the box. Next step is a dedicated PCB to have a clean board and be able to fit bigger coin cell(s). @Nca78 - love the box, and as you say its hard to find the wife-approved one. You should be able to make a round PCB and if you want a cooperation on a round EasyPCB just let me know. I don't think it's a good idea to make a "round EasyPCB" as there are parts that cannot fit in the box if we include all the "features" on EasyPCB, first I will just put arduino, nrf and and keep only minimal connectors for i2C sensor board (it will fit SHT21, BMP180, BME280 which are all available with the same pinout) so I will be able to fit a decent sized button cell, ideally CR2032. After over 24h not a single millivolt change with the LR41s though, still 2.979V despite sending up to 4 values every minute. So maybe 2xLR44 could be a solution, that would leave much more space on the PCB. Very interesting !! Thanks for the idea ! Looks a bit like a solar garden light, whch is also round and which you can buy for $1 and includes a small solar panel, LED, and rechargeable battery. Someday I'm going to investigate whether I can get a wireless node to run off energy it stores from mere ambient light and never need battery maintenance. Seems like it should be possible. I agree that finding cases with decent industrial design is a problem. Typical project boxes don't really cut the mustrd. One advantage of a small node is that it can fit into more things and hopefully remain inconspicuous. On the other hand, if you want to measure temp-RH, you need to have decent airflow. I guess yours accomplishes that by having no bottom? Maybe it should be white so it doesn't heat up just from surrounding light. Don't buy them for outdoor use, although that's what they're sold for. They'll rapidly corrode in wet weather and then cease to function. However, that shouldn't be a problem indoors. Inside I put one of my RFM69HW temp-RH nodes. As you can hopefully see, there is room to spare. These close-up photos probably make the puck look larger than it is. It is just 2-1/4" in diameter and 1-1/8" tall. What do you think? Would it have good WAF? This one is a bit crufty because it was outside for about a year, and then I plucked it for these photos. When brand new they look more clean and polished, and so perhaps if kept indoors they would stay that way. One possible concern with this particular example is that it has a metal band around it. That's not so ideal for an RF node, but it may not matter, as I tested the PCB node (just by itself, without the solar puck) within a closed refrigerator and still got adequate signal from it. I have bought one of those too and there's a post about recycling them as soil humidity sensors here on the forum. The box I use has a bottom, you don't see the circuits and the box is tightly close, it looks really like one you would buy in a shop. As the charger must generate some heat, there are opening all around the bottom, providing a good airflow. I have to agree that sitting side by side, yours does look nicer. Nice find! At least with my wife anything which has a protruding wire gets low WAF. I have to agree with her on that. You can curl the wire and fit it inside the case. You'll lose some signal strength, but that's why I opted for the RFM69HW, which has plenty of link budget. Etching an antenna starts to get complicated if you want it to work well. Last night I found a square version of the solar puck that was all plastic (i.e. no metal band around it). However, if you don't like the look of a solar cell on top, it would be a non-starter for you. In general, though, I think your idea of re-using the case of some well crafted looking product is the way to go. I suppose 3D printing something might work, but I'm not equipped for that, and let's face it: it takes both time and talent to make something from scratch which also looks nice. Even companies like Apple I'm sure go through a lot of iterations, and those are full-time professionals who specialize in that. From what I have seen 3D printing cannot produce such a polished look, at least not with the entry level machines. So you need polishing and/or coating to have something good looking. It's good for POC but for a good product you need plastic molding and for that to be reasonnable in price you need. For the antenna it will be fixed with the dedicated PCB, the PCB antenna of the NRF24 will fit inside the box. Actually it can have that look if you print with ABS and treat it with acetone vapor afterwards. Have treated my prints that way many times and the result is very good. If anyone else has suggestions on good looking cases to use, please do post them to this thread. This will be an easier search if we pool our knowledge. Meanwhile, I think I'll order one of the same charging pads as the OP so as to try it out. It's actually cheaper than many of the much worse looking project boxes, so thanks for posting the links. I just ordered both charger pads that you had linked to. They should arrive in about a month, and then I'll give them a try. 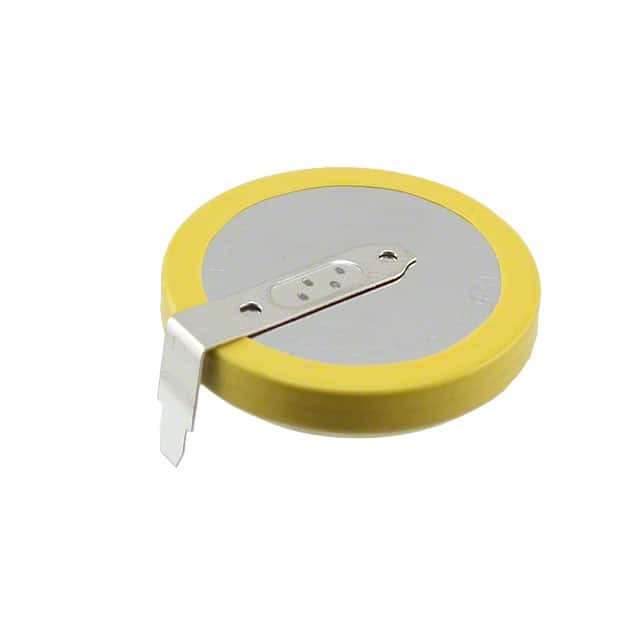 You can save on both size and thickness by using a surface mount NRF24L01. 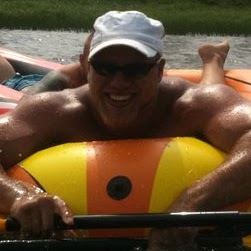 Gert Sanders already has a node like that he has posted. By the way, what is an "EasyPCB"? Thanks for the link. I had thought it might be a new easy way to create PCB's at home from scratch, but it's totally different from that. It looks good for its own merits though. Of interest to me are ones like the second link that are already designed to hold two cells, because I envision that is what I would probably use for most nodes that run on battery. For a node that's meant to run from a usb charger, the first one (or similar) might be fine and could probably be adapted for that purpose. It even came with rechargeable lithium batteries already installed, and for what it does it works quite well. If I could find just a case like that but priced even lower, I'd probably get it. @NeverDie yes you are right the SMD version of NRF24 is the way to go, there is not way to fit both a regular sized NRF24 and a non SMD atmega. SMD NRF24 is not too hard to solder so it's the better compromise. I can fit it with pro mini and CR2032 on the available space for the black charger. I'm thinking about using an aluminium xiaomi powerbank enclosure to use as a slick gateway though, with PA/LNA NRF24 and antenna outside. I like the look of the last one better, but of course it costs more than the other solar cell charger, so that's the trade-off. From what I've read, most of these portable solar chargers would take a very long time to convert enough solar into enough stored energy to charge a phone, and so people end up mostly charging them from a usb charger, defeating the main purpose purpose of it. However, for powering a wireless sensor node, I suspect they capture enough solar from ambient light that they could be retrofitted for that purpose., at least for nodes that can sleep and don't always need to be running. 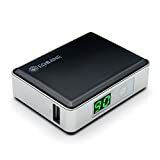 Ah yes the "Q8" square charger looks great, I'm waiting for my new credit card to arrive to be able to order one It's a bit bigger but it looks slick and it would allow to combine a few sensors inside. It could also contain a charging circuit and lipo to have rechargeable sensor. Mainly because of the lengthy shipping delay, I think I'll get one of each and then decide which I prefer. Things don't always look the same on a website as they do in real life. Looking at the containers in our pantry here, I notice a lot of them have lids that, though they lack "bottoms", in many respects look a lot like the generic "puck" shape of the OP. For something that sits on a table top, you'd never know it doesn't have a bottom. These would be entirely free, because as my family here uses up a container, we invariably just throw it out. I just today received an all white version of this (purchased it from ebay), but I wouldn't recommend it (well, at least not this color). The case itself is all white, which is what I wanted, but the silicon ring embedded in it is more of a cream color, and so it ruins the look by making it look old and/or dirty. It doesn't look like the photo on the web page. Also, as perhaps the OP pointed out, there are no vent holes, though they could be drilled. You're receiving thing pretty quickly (as you received the PCB in less than 2 weeks, too), you're lucky ! What do you think of the black one above? Thumbs up or thumbs down? I was surprised at the way it photographed. On the sides it's actually the same glossy black color as it is on top, but its so glossy that when I photographed it (with a flash) you're actually seeing a reflection of the white tabletop that it's sitting on. Similarly, you can also see a reflection of the white antenna on the glossy black portion on the top (though not in the matted black top area). The things I received yesterday were shipped domestically. It still takes a long time to get things if they're shipped from China. I'll definitely order this and the AA version too, to check. In the worse case it can be used for hidden node. It should fit a dedicated PCB even with pro mini as long as the radio is SMD to be flat enough. 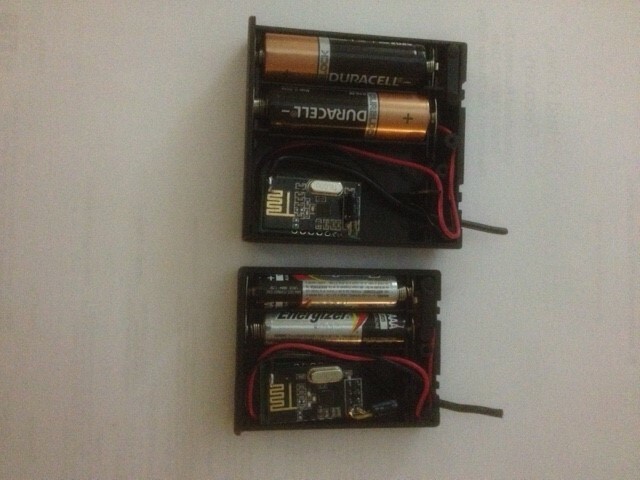 I have used battery casing for sensebender & DC DC step up converter (2.5v to 5v). Have to do a bit of filing & swapping of battery contacts and drill hole for sensebender. which I might have done, except that I prefer the RFM69HW, which I don't think would fit in just one battery slot very easily. Here I just received the black "pucK' sensor case that was shown in the OP. Pretty fast considering it was free delivery using China Post. So far I like it the best because it has the air vents already a part of it. That's why I selected it, best suited for temp sensor. Just received the first version of the PCB but it will need some improvements. I really like the pcb´s you are using @NeverDie, is it possible to buy them anywhere? I'm just doing this for fun. If you want to buy something pre-made, I'd suggest buying a Moteino. Ok, but is the PCB availible at OSHpark or is the files availble for sharing? Are you sure there's space for the coincell holder? The case is pretty thin. I ordered some tabbed coincells, but am still waiting for them to arrive. Maybe later. I'm still improving the design. Here's a newer evolution of my small TH node that includes a co-planar antenna. So, no long monopole antenna sticking out of the case. I haven't attached the TH sensor yet because I've run out of them, but I'm pretty sure it will fit. What's the best way to remove the cover on this thing? Do I just go for it with a pry tool, or is there a special trick to it? I'm hopeful it will fit a CR2477 tabbed battery, but it would likely be a very close fit if it does. In case it doesn't, have you come across any options that are a bit thicker? 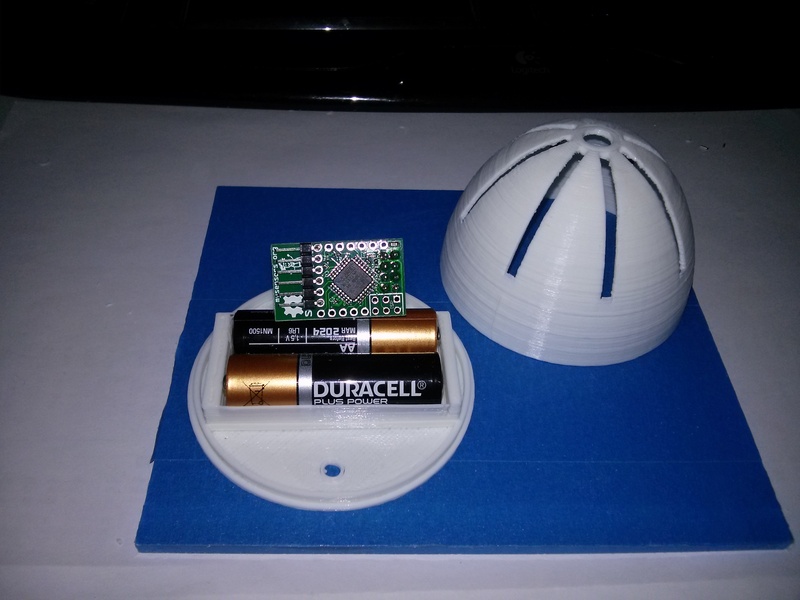 I tried running one of my nodes inside the solar puck that has the metal band (above). It's maybe a few dB worse, but the link budget is large enough that it just doesn't really matter. So, I think it remains a viable option as an enclosure for thicker nodes that don't easily fit inside the OP's thinner recharger puck. For the cell it should fit a 2477 but you need a thin PCB + thin holder. Box is 10.6mm high minus 1.2mm thickness for the cover and 0.8mm PCB it leaves you with 8.6mm. 2477 is 7.7mm so you have 1mm left, not much but I think just enough if you use basic holder that's just made of a folded metal sheet. However, it is even thinner than the OP's vented puck, and it's about double the square inches of foot print. So I don't see any real advantage to them. I have ordered one also (In fact two as aliexpress payment messed up and asked me to process payment again, but few days after I realized the "failed" payment was in fact processed and sellers were sending everything twice...). I'm planning to use one as gateway box with wemos d1 mini and smd pa/lna NRF24 side by side. 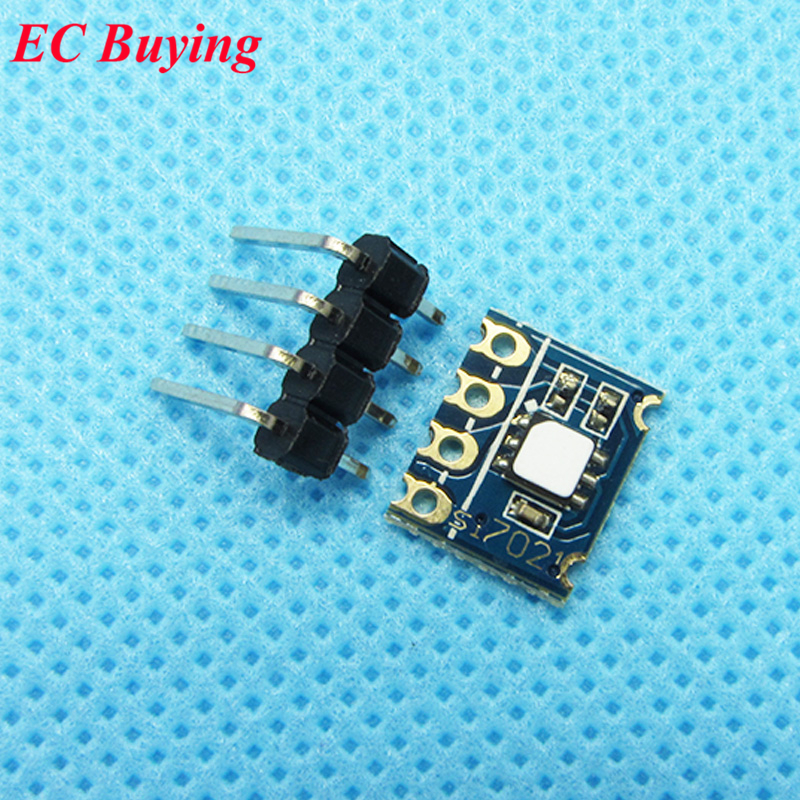 Any chance it will fit this type of ESP board inside or it's too thin and I should go for ESP12 module instead ? I just now measured the D1Mini, and it's about 6.7mm thick. If you removed the USB connector, it would be thinner. I haven't opened the QB wireless pad, so I don't know how much depth is available. However, the case itself is 8.5mm thick. In comparison, I measure the case thickness of your OP puck as 11.7mm. I'm not yet savvy about 3D printers, but from what I've been reading lately the line artifacts in the plastic may vary in how prominent they are depending on the quality of the software slicer that's used to produce the g-code that's sent to the 3D printer. Still, I'm not sure to what extent it's avoidable or just a reality of 3D prints. Would such line artifacts always be visible, regardless of which printer or software produced it? In any event, I like the way Kali molded the battery holder into the case itself. Very clever! Funny that in the video the demonstrator uses a polypropylene chamber, as I'm pretty sure acetone will strongly react with it. Aside from that, though, it was a good video. Thanks for posting it! He seems to imply this acetone vapor chamber approach only works on ABS printed models. Is that correct? Also, what must the 3D printer's layer height be for the lines to no longer be visible (without resorting to acetone vapors)? I can also configure my medium TH mote to also fit. The enclosure is too thin to accomodate AAA batteries, but I should be receiving the button cell batteries from China very soon. That's good input, as I haven't yet tried running it on a button cell. Is a button cell alone just not able to keep up with the Tx load? I had wanted to avoid button cells altogether, but even an AAA battery has too wide a diameter to fit in this enclosure. It might be worthwhile to make a board specifically for this enclosure. It would necessarily have to have a somewhat similar size as the board that was in it, so that it could mount an LED near the LED window, and a micro USB at the USB window, all while fitting the groves of the enclosure. BTW, how did you get that sticky black foam tape out of it? I tried scrapping it off, but I didn't manage to remove all of it. No it can't keep up with it without a serious voltage drop, especially at startup and with RFM radio. A 100µF ceramic capacitor (and sleep between successive tx in your code) should be enough from what I read from scalz who made a few boards with button cell + RFM. I just uploaded version 0.2 of my dedicated board to Seeed, it should be just the right size this time Led is in front of the led window but on USB side I don't have anything, it's just a vent. For the black tape I don't remember having so much pain to remove it, maybe it's different between enclosures, I will tell you when I receive the next one. It would be nice to keep the usb port as an aid in reprogramming it, so that the case doesn't have to be opened or without having to do wireless OTA programming of it. Alas, it's probably feature creep. On my medium node, I found that if I used right-angle FTDI header pins and if I splayed the antenna and the Temp-humidity-pressure sensor out horizontally, then the overall thickness was low enough that I could fit it inside the OP's enclosure. Also, I think that if, rather than clipping the LED's legs after soldering it close to the board, I instead left the LED legs long, then I could bend it over and have it pointed at the LED window on the OP's enclosure, to maximize its visibility outside the closed enclosure. So, on a future version, I'll try that. which obviously has no tabs. Anyhow, the second photo shows the depth of the battery in relation to the OP's case. It looks to me as though with tabs it likely would have been too thick for the cover to snap back on the OP case. my little xp about coincells showed me that i can't trust ali coincells.. well i tried only few orders, but those wasted my time searching for bugs whereas batt were discharged and didn't check this in first place as i was using fresh ali coincells. I was thinking it couldn't be that! Then i checked their voltage in case...and was surprised! Changing for good and strong coincell was day&night. Top Definition. get shanghaied. verb, ditransitive, passive (with to Be or to Get). to be swindled, cheated, lied to, robbed, stolen from, duped, conned, deceived. Not sure what I'll do with the "non-tabbed" batteries. Shipping costs between the US and China are asymmetric, and it would probably cost me more in time and money to ship them back with tracking to the seller than I would get in a refund. Oh well, I guess I'll be buying batteries from Digikey in the future. It will cost twice as much, but at least I'll get the real thing. It's a bit thinner and should have a better chance of fitting inside the OP case. Epilogue: I get a call from Digikey to tell me that they can't ship the button cells by first class mail because they contain lithium. Mind you, I only ordered 3 of them. Instead, they can only be shipped by either UPS ground or FedEx ground, both of which will cost me about $10 for the shipping alone. Yet, USPS apparently had no trouble delivering the CR2477 button cells from China using ePacket delivery. Argh, it's all just ridiculous! Not that it matters, but I wonder why is it acceptable for lithium batteries to be shipped installed in equipment, but unacceptable if not installed? @NeverDie my guess is that the rulemakers took a pragmatic approach. Banning batteries in equipment might have been too hard, which could have brought down the entire proposition. So they opted for rules that are less safe than total ban, but more safe than no rules at all. Batteries inside equipments are protected from shock by said equipment, shocks/bending beeing one of the main reasons for battery fires. It could also be related to the "density" of batteries. Having one battery burning inside an equipment will slow down the propagation of the fire and is relatively easy to deal with a fire estinguisher. Having a fire in one battery that will propagate to other batteries shipped together is a nightmare. LOL. This is the ultimate catch-22: I can't mail the falsely advertised batteries back to China, even if I wanted to! The only way to do it would be to first install them in some equipment and then ship the equipment, but then they would be used batteries and no longer new, so the seller could refuse a refund on those grounds. Since returning them is impossible, maybe I can appeal to Ali Express for a refund without returning them. This is becoming entertaining.... A refund from Ali Express would almost cover the cost of shipping from Digikey. They sent the wrong stuff. Opening a "case" will most probably get your money back. Would you please post a link for the white ones? All I recall ever finding were the black ones. Link is here but unfortunately it says "no more available"
@NeverDie I found a good way to open them without any damages. I have that cheap DIP chip extractor that's very bad at doing it's job, but it happens that it's the perfect size to fit in the vents at the bottom, if you put it inward and pull you can pop up the bottom cover easily. I bought 10 white chargers from the "woweinew" shop for 30$ with China Post Registered Air Mail included after a few seconds of negociations. I also found some SMD 7021 breakouts with only minimum components onboard, they are a bit more expensive but save some space in PCB surface and thickness. And no need to waste time removing and shorting the voltage regulator. Just FYI: it turns out you have to avoid exposing the si7021 sensor to high humidity (>80%) unless you turn its buiilt-in heater on--which, unfortunately, will drain a battery rather quickly. It's in the datasheet, but not as prominently as it should be. Therefore, going forward, I'm switching to the BME280, which costs more but appears not to have this issue. I do have some si7021's, but I think I'll probably only trust the temperature reading and consider the humidity reading as a rough gauge only. The first link has them back in stock. I just now ordered one from them. Yes I have seen that but I wonder how much the "drift" really is. As long as the temperature is still precise (and it is from my observations) a drift in humidity measurement is acceptable, as long as it can still reflect changes. I've also ordered BME280 (6 pins version with no voltage regulator) from 2 different suppliers anyway, so I will be able to compare sensors side by side with every other part coming from the same batches. Great. I'd be interested to hear of any conclusions you might reach from whatever comparisons you're able to perform. At the moment I have still not received my BME280 sensors so I'm testing with the si7021 only. For the first step I have put 3 of them on top on each others and checked their reported values over nearly one week. I must say I'm very impressed by what I have seen at the moment, the maximum temperature span I have seen was 0.3°, and 3% for humidity. Now I can confirm the sensors report the same values, I'll move one of them in the children's bathroom where it's supposed to have the maximum humidity exposure. If reported humidity is high enough (>90%) I'll leave it there for 2 weeks then move it back together with other sensors and see if it got a shift in humidity measurement. Typical display in Domoticz: very reproductible values between the 3 sensors. So unfortunately when I started this test it was "dry" season so even in batchroom it didn't prove very conclusive. Just reprogrammed them today and put them back in place, 2 @1MHz with CR2016 and 1 @8MHz with CR2025. Rainy season is back and I have high humidity values on the 3 of them, 91% in bathroom right now so I should be able to run the test. These chargers are looking really good... Great job on this! Has anyone used these garden lights? They look like they'd be ready to go as a PIR/multi-sensor considering there's already a AA holder and plenty of room under the lens. Maybe they could be tucked up by the ceiling. It wouldn't quite be flush because of the sloping top, but it may not be bad. Searching around I see at least two different variations--one has a smoother, cleaner look to the lens and the other looks more "knobby." Some come with a battery and some do not. @hautomate well it doesn't look so great imho. There's no space for PIR lens so you have to make one yourself, it looks like hard plastic and it won't be easy to drill without generating any cracks. No holes to put other types of sensors like temperature/humidity/... so same problem. In addition if you put it under the sun to charge, the temperature inside will not allow any measurement of this type. Charging circuit is primitive, it's probably the same IC than in the 1$ garden lights and it just puts voltage to the battery +/- without any control of voltage: not a good way to maintain a good health for the battery. Also, at least based on my experience with cheap Chinese solar garden lights, the battery connections (and probably a lot of other parts too) will rapidly corrode/rust and fail soon after. Sorry if that sounds negative, but I see nothing to suggest otherwise in this instance. So, if you do decide to try it anyway, I suggest you try just one and see how it handles your weather first. That said, my wife bought some solar garden lights at Costco earlier in the year, at about $8 each, and so far they're holding up and are working very well. However, in that case, you've got an institutional buyer (Costco) with an interest in quality handling the due diligence on build quality and with a very generous and easy return policy. On Aliexpress, that just doesn't exist. 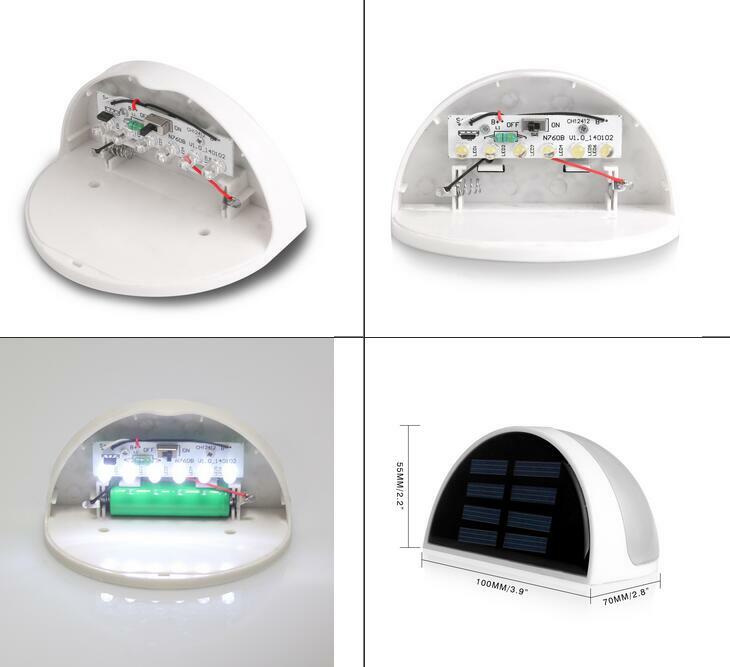 I'm thinking indoor use here and not using the solar panel or circuitry for anything--just use the plastic and lens and pack it with PIR and temp/humidity. Mounted up high on a wall, any holes could be drilled on the top as that side wouldn't be seen. Finding things to make into cases is fun. Here is my raspberry pi.